This is popping up in the news and online more and more. Cytomegalovirus or CMV as it is more widely known, can cause deafness and even death in some cases. My son aquired CMV through a blood transfusion in the nicu. I got tested for it at that time, shortly after his birth, and I tested negative for an active infection. I had immunity for CMV in my bloodwork. I’m no expert on the topic but after my son was diagnosed, I read everything I could on it. Unfortunately there isn’t a lot of information available. If you look at this from the alternative health standpoint, you will find a bit more information on it. It’s something that, in healthy people, doesn’t seem to cause a lot of trouble. It seems like the common cold. If you have a compromised immune system, or a preemie like my son, it can be deadly. Some babies will survive but may have mild to severe complications. Some babies will succumb to the issues that arise while the are in the nicu or even afterwards. Some babies will die in utero. There are pretty intense medications that can be prescribed but they also have side effects. Those medicines are in the chemotherapy family of drugs. I am glad that awareness is being spread. I am glad there is treatment available. I hope there may be some answers as to why and how this continues to be popping up more and more frequently. It’s sad to see the way it’s affecting babies and immunocompromised individuals. My son was treated in the nicu and was supposedly in remission so to say, however, he passed away. His hearing never suffered per testing they did. His vision was good as well. He did have typical issues of preemies, like needing a ventilator, that played a big role in his demise also. In the end, it’s about awareness and research. I hope both improve greatly. Alternative medicine has an interesting take on it. If you read Medical Medium, you will get some insight from that perspective. I am putting a link below to an article that popped up online recently about CMV. I hope you take a moment to read it. Also, check out Medical Medium too if your so inclined. I will continue to research this topic for now. Thank you for reading. 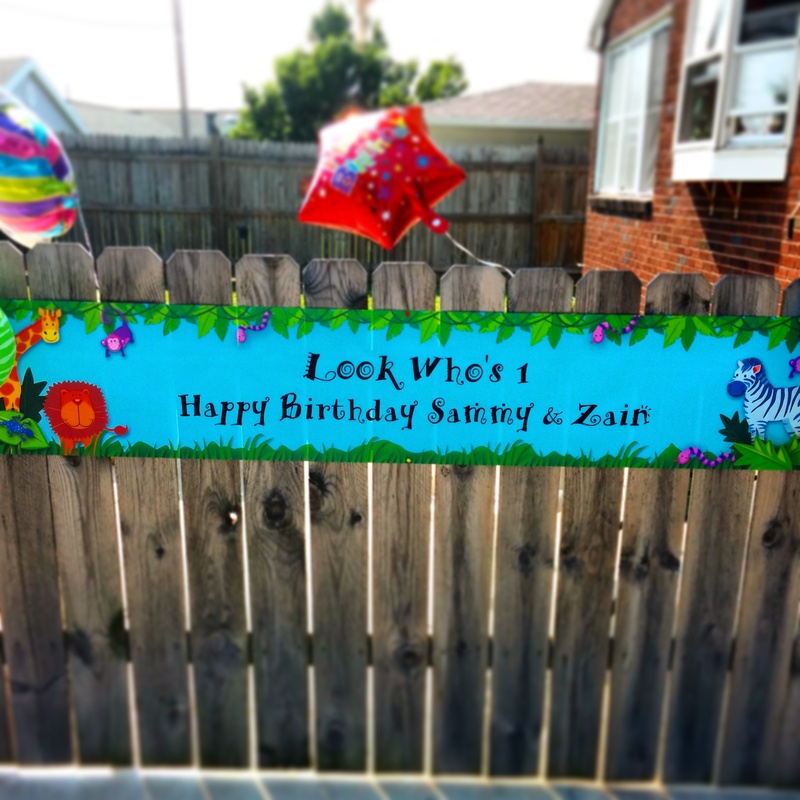 I was able to get through my sons first birthday with out crying…the entire time. It was amazing and a fun time of celebration. 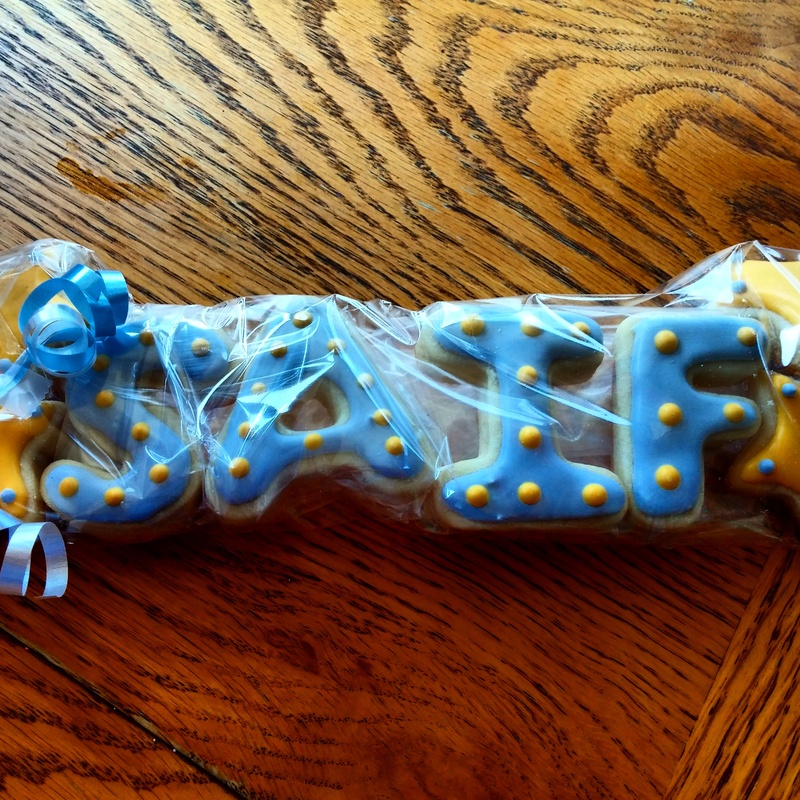 I ordered special cookies for the party and my friend surprised me with a cookie for Saif too. It brought a tear to my eye, followed by complete happiness. He was officially a part of his little brothers birthday. 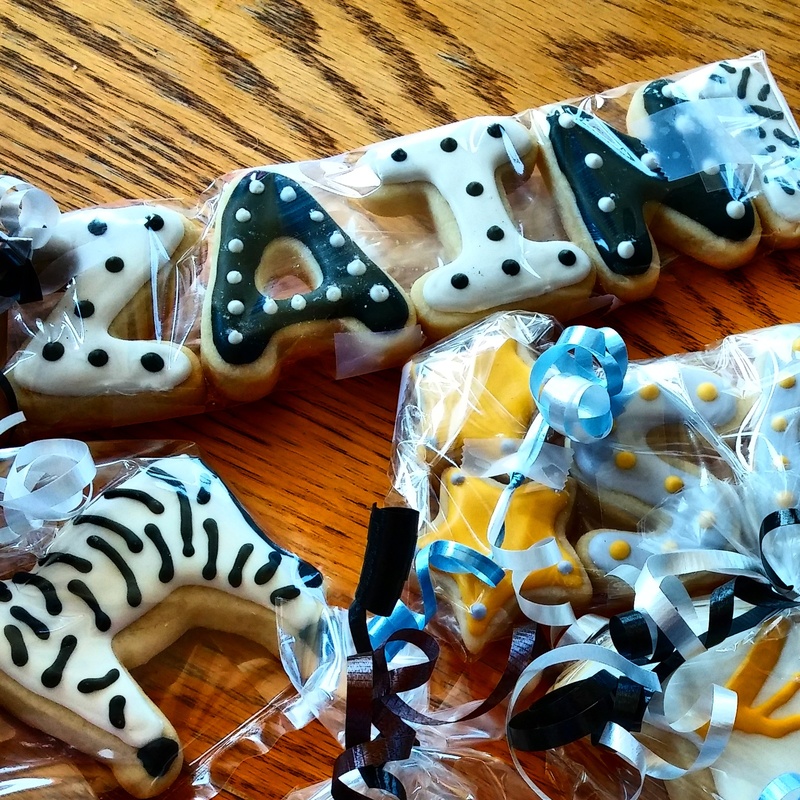 Thanks Tiffany Walters, the cookies were fabulous. Also, my sisters made the day awesome. They made the little cakes and food for the party. My nephew Sam was born one month early almost exactly to the day. 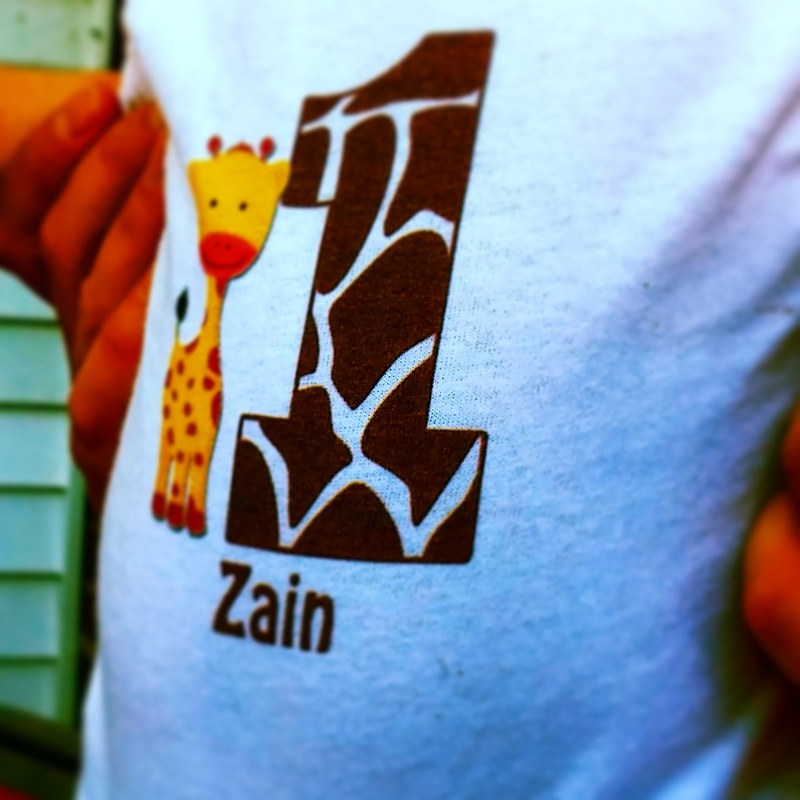 He shared in the birthday festivities with his best buddy Zain(my son). We are lucky to have a cousin so close in age and they live close by. All in all I am grateful and blessed, thank you God for sending me my boys.